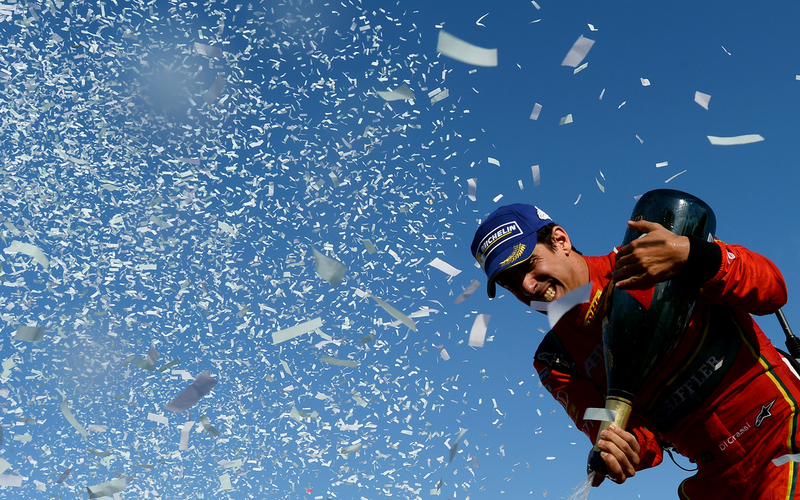 Three years in the making: An incredible team effort by the entire ABT Schaeffler Audi Sport squad in Montreal allowed Lucas di Grassi to clench the FIA Formula E title at last. Teammate Daniel Abt also showed a great performance throughout the entire weekend, securing valuable points for both championships. 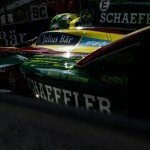 The final weekend of Formula E’s third season allowed the German ABT Schaeffler Audi Sport squad to finally seal the deal and win the title with Lucas di Grassi. The Brazilian secured the pole-position and controlled the race at every second afterwards. Daniel Abt’s qualifying did not go as smoothly but he showed a strong performance throughout the entire race and finished in P4 due to Sebastien Buemi (Renault e.dams) being disqualified afterwards. On Sunday, the two drivers qualified well within the top-ten, clenching P5 and P6. They completed the race distance as a coupled duo, with Abt being di Grassi’s convoy for most of the race. Both of them showed strong position fights following the stops and finished the race in P6 and P7 with the German finishing ahead of the newly crowned Formula E champion 2016-2017. 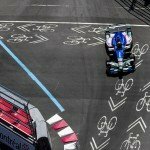 The first of the two races in the street canyons of Montreal showed Lucas di Grassi in the form of his life – first securing the pole-position in qualifying and then masterfully leading the race from start to finish. Even though the Brazilian found himself under pressure from TECHEETAH’s Jean-Eric Vergne during the last couple of laps, he kept his cool and managed to cross the finish line first. With main championship rival Sebastien Buemi experiencing a rather toublesome weekend, di Grassi also took over the lead in the championship which lay the foundation for his final success on Sunday. The final day of the Formula E season 2016-2017 started off rather well for di Grassi as he managed to qualify for Super Pole once again. Nevertheless, a small mistake on his all-deciding flying lap meant he would only start from P5. With Buemi’s black weekend continuing though, the Brazilian could head into the race without having to take unnecessary risks. Additionally, with teammate Daniel Abt right behind, the champion-to-be had a convoy at all times and was nearly able to fight Mahindra Racing’s Nick Heidfeld for P5 in the end. With nothing to lose, he did not put up a fight when Abt passed him for P6 and finished the final race of this season in P7 and as the newly crowned FIA Formula E champion. Lucas di Grassi says: "..."
Due to a ten-place grid penalty for Sebastien Buemi (Renault e.dams), Daniel Abt was able to start the first race from P11. He showed a fantastic performance during the race, showing strong one-on-one battles and the German was making his way through the field successively. When it was time for the obligatory car swaps, Buemi felt like Abt was driving too slowly in the pits and vented his anger quite obviously. The Renault e.dams driver was then released just a mere second ahead of Abt and the two of them nearly crashed at the pit exit had Abt not reacted as quickly as he did. What followed was an incident that is still a matter of debate among the fans as Abt suddenly found himself in Buemi’s rear when rejoining the track. Nevertheless, both of them were able to continue the race and thanks to a continuously solid performance Abt was rewarded with a fifth place. The hottest topic following the race was nevertheless Buemi’s verbal attack in the pit lane. As the Swiss was later disqualified due to his car being underweight, Abt inherited P4. On Sunday, Abt was not able to show all he was capable of as he was mainly functioning as di Grassi’s convoy during the race as he started directly behind his teammate from P6. Nevertheless, after a solid performance during the race and great battles, especially with Jerome d’Ambrosio (Faraday Future Dragon Racing), he was able to take P6 from di Grassi and finished the final weekend of the third Formula E season on a high and secured P8 in the championship at the same time. Toni is the founder and CEO of e-racing.net. Apart from taking care of management and marketing, she acts as the editor-in-chief and is responsible for ERN's content strategy. Furthermore, she is our very own caffeine addict and is barely ever seen without a huge coffee mug in her hand.